Buy our latest edition here! Cellar Roots is Eastern Michigan University’s award winning literary and arts magazine. 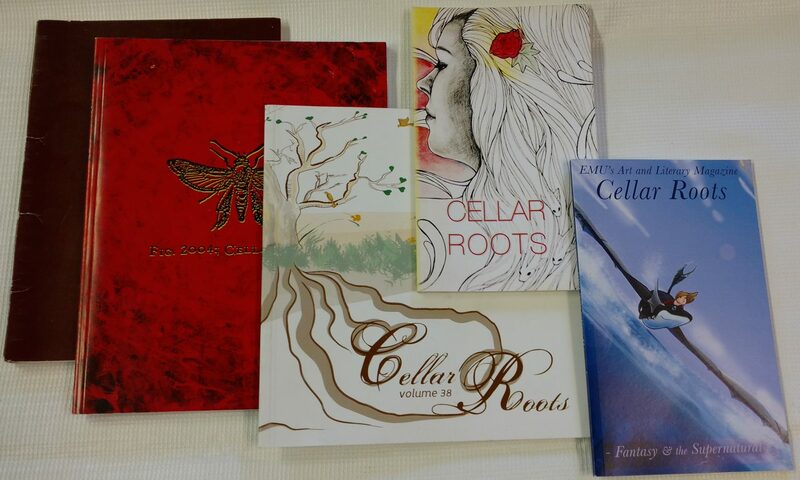 Established in 1971, the purpose of Cellar Roots is to provide students a vehicle for publishing their work. Once a year students can submit creative writing, art, music, film, and more, to be considered for publication in online and print. “Students with these varying backgrounds should have a magazine whose name has something in common with all. The “Roots” symbolizes the deep growth and natural expansion that is creativity. The “Cellar” is the man-made thing that comes closest to the roots.